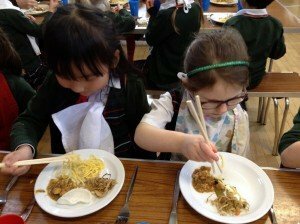 The undoubted highlight of the week has been the instant success of our “Come for Lunch” invitation to all parents. 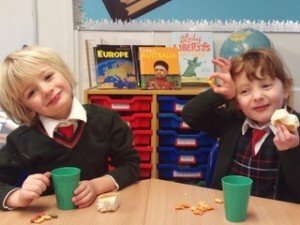 Having an important visitor has not only been a treat for the child whose parent has come, but also the child’s friends who are invited to sit on their ‘special table’. We are amazed that we are now booking well after half-term and are delighted that we are now ‘the place to be seen for lunch’ in Newmarket! 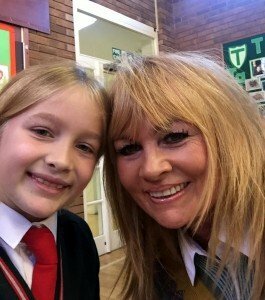 Mrs King and Fleur certainly had a lovely time together earlier this week! 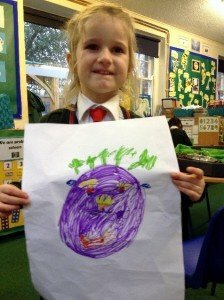 This week in Reception, the children enjoyed writing to the Mayor of ‘Itching Down’. Four million wasps had descended onto his town, and the pests were relentless! 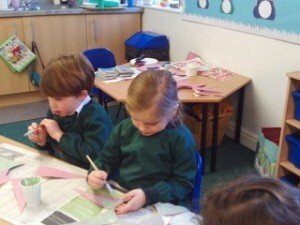 The children worked together to consider what could be done. There were some super ideas, including; creating a trail of hotdogs to a giant box to trap the wasps! 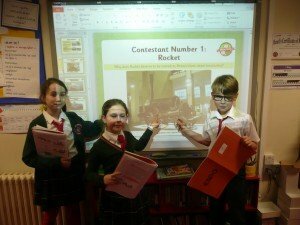 The children were keen to find out how a giant jam sandwich was used to save the day! 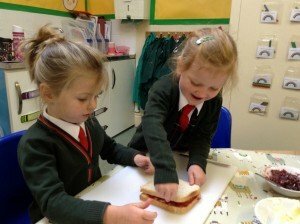 The story was revisited in Maths, where the children made their own giant jam sandwiches to cut into halves and quarters to share with their friends. They also thoroughly enjoyed exploring the concept of doubling, using wasps! 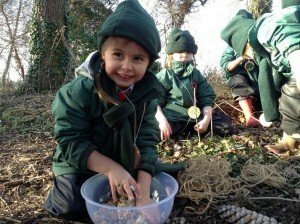 The topic of ‘Food, Glorious, Food’ was continued into the forest. 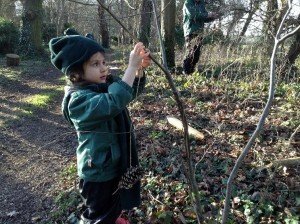 The children discussed migration and then made their own bird food to hang in the trees. 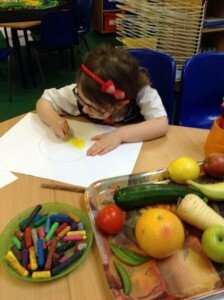 In Art, the children explored the work of Giuseppe Arcimboldo and created some super portraits. 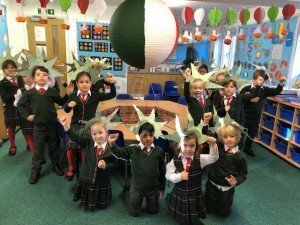 Year 1 are feeling a little jet lagged!! This week in New York, they met Lady Liberty, who had been feeling rather tired of her arms aching, her neck being stiff and cramp in her legs so we took her for a holiday! We visited the White House in Washington D.C then left for South Dakota to see the faces of past Presidents of the United Stated carved in the rock. Then it was on to San Francisco to see the Golden Gate Bridge. We travelled on to Kansas and we played in the wheat fields before finally heading back to New York city to celebrate 4th July with fireworks. We are having a restful weekend before setting off to France next week. 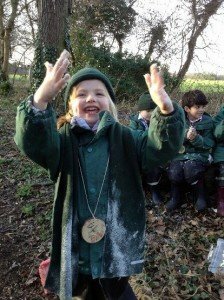 When the children came into school on Tuesday, they found that their classroom had been frozen; there were snowballs and snowflakes everywhere! 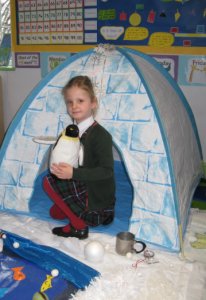 On further investigation, they found a penguin hiding in an igloo with a letter! 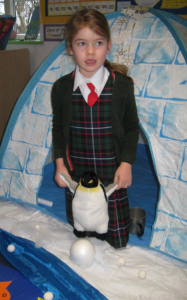 Percy the Penguin comes from Antarctica and he accidently found his way to Newmarket whilst he was off exploring the world. 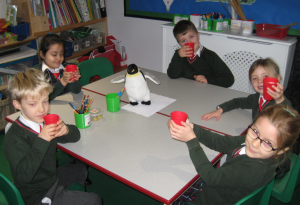 It was absolutely freezing in the classroom so Percy suggested that Year 2 made themselves a hot chocolate to warm themselves up. They did just that and then wrote instructions on how to make hot chocolate for Percy to follow when he gets home. 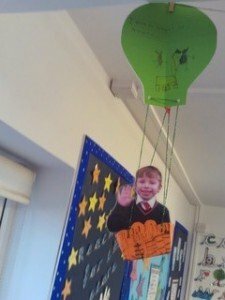 Year 2 will be learning lots about Percy and his friends over the next two weeks! 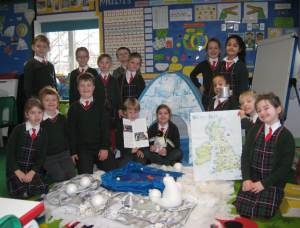 As part of their topic, Vesuvius! 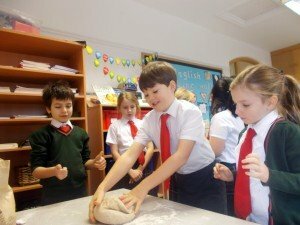 Year 3 have been investigating a carbonised loaf of bread discovered in the ruins of Pompeii. They read different types of instructions texts and, then, compared Roman bread recipes with modern day recipes. 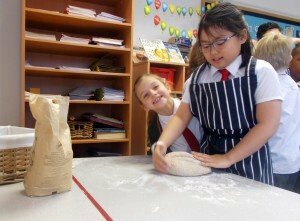 Before baking commenced, Year 3 wrote their own authentic bread making instructions. 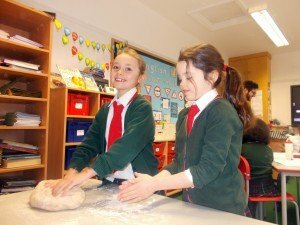 They all enjoyed tying the loaf with string, as the Romans didn’t use baking tins, carving ‘Year 3’ in Roman Numerals to show who made the loaf, and finally eating a slice, dipped in olive oil. 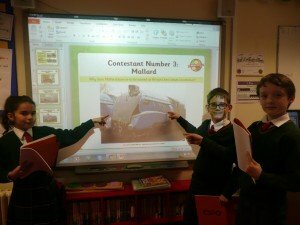 This week in History, Year 4 researched in groups, one of the four Famous Steam trains; the Flying Scotsman, the Mallard, the Evening Star and the Rocket. 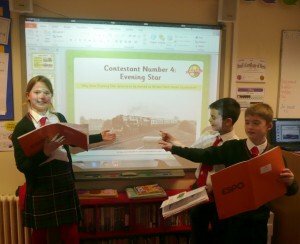 The groups presented their findings to the rest of the class and tried to persuade them that their train should be named the greatest steam locomotive ever! 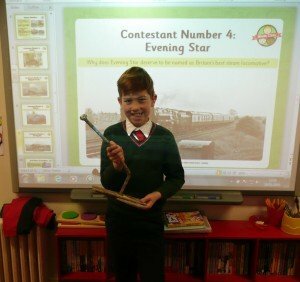 Jos has an old railway passing through his garden and he brought one of the parts in for us to see. We were very intrigued! 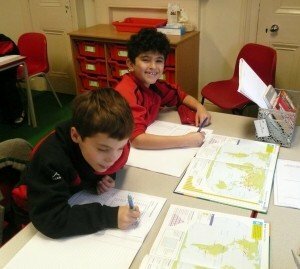 In Humanities this week, Year 5 has thoroughly enjoyed learning about how we can locate and identify places in the world as well as developing their map reading skills. 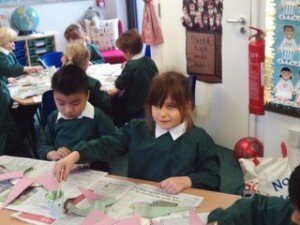 The children have been learning about how the world is divided by imaginary lines and the resulting co-ordinates. 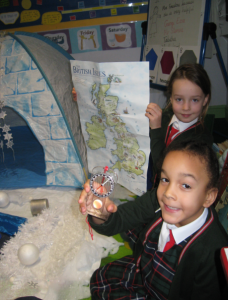 The children were brilliant in their understanding of the lines of latitude and longitude and were able to use the atlas to successfully identify locations. 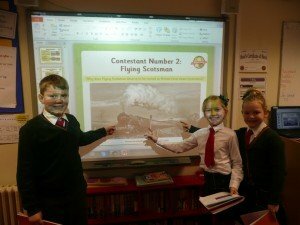 I was also particularly impressed by the teamwork and collaboration that took place. 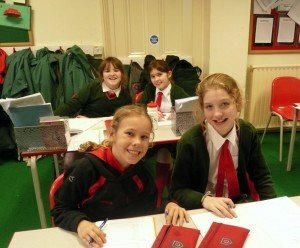 Next week, Years 5 and 6 girls are away for the day at Framlingham College, where they are taking part in a musical day, along with other Prep schools, with Lin Marsh. Mrs Warburton is very much looking forward to taking the girls. 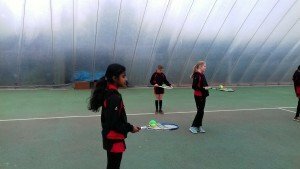 Year 6 are enjoying their tennis sessions with their coach at Newmarket Tennis Club. 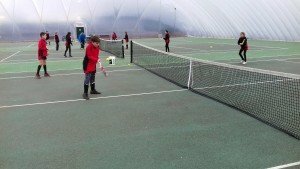 They have been practising their forehand and backhand strokes, with exciting point playing games. 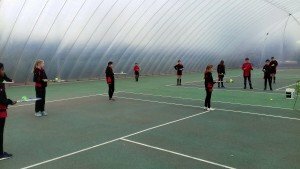 “On Wednesday 16th January, Fairstead House U11 Dodgeball team took part in a local tournament. The first match we played was against Exning. They were very good and we lost. The second match we played was against St Louis. Madoc made some great throws and Molly and Sam did some great dodging. We drew against them. In the third match, we played very well and won. In our set we came second. Then we went into the playoff for 5th and 6th place. Ava and Harry made some amazing catches but sadly we lost our final match so we came 6th out of 12 overall. 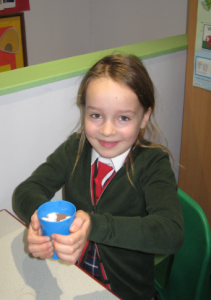 This week, Kindness Cups were won by Isabella in Year 5 (selected by Eleanor) and Annabelle in Year 1. This week, we wish a happy birthday to Flynn in Year 4 and Ella in Year 5.